Cherries star Fraser wanted by Arsenal? Fraser has emerged as a target for Arsenal thanks to his recent 11 assist haul and after bagging another goal in a win at Brighton and Hove Albion on Saturday. 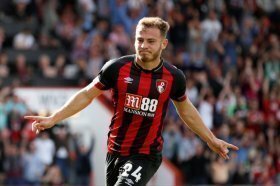 The impressive midfielder, who has caught the eye of several other Premier League teams, admits that the interest from elsewhere is a distraction but he is focused on his current role at the Cherries. "Maybe it hasn't helped," Fraser told BBC Sport. "Subconsciously, you might think about it. I'm just trying to get on with my work. Every player says that. At the same time, I think the best thing I can do is play well on the pitch. There's no point in stuff coming out and then I start to have bad games." It is understood that Bournemouth would be willing to part with the attacker if a club is able to match their £25 million valuation.